Michael Jackson’s solo hit “Hollywood Tonight” from his last album “Michael”, moves from number 2 to number 1 on the Billboard Dance/Club Play Song list as of this week. Once again Michael Jackson proves why he will always be the King of Pop as he posthumously hits the charts after a 16 year hiatus. “Hollywood Tonight” takes us back to the Michael Jackson we loved from years ago. When the beat first kicks in, this tune is reminiscent of Jackson’s number one hit of 1983 “Billy Jean”. Those drums are undeniable as they take me back in time watching Jackson perform on Motown 25. Then the bass line kicks in on a very melodic riff complementing the drum beat. Throw in some keyboard along with Jackson’s signature voice and you have another hit. This isn’t Michael Jacksons first time at number one on the chart, of course. This would be Jackson’s 8th time in the position. His first solo number one debut would be “Thriller” which hit number one on January 22, 1983 and remained at the charts for 11 weeks. Michael Jackson’s second would be a duet with his brother Jermaine Jackson called “Tell Me I’m Not Dreamin’ (Too Good To Be True)” hit number one June 9, 1984 and stayed for three weeks. “Bad (Remix)” hit number one on November 7, 1987 and had a two week run. “The Way You Make Me Feel” would hit number one on January 30, 1988 and stay at the top of the chart for one week the same length of time Jackson’s 5th and 6th number ones would stay on top, “In The Closet”, June 13, 1992 and “Who Is It” May 22, 1993. Michael Jackson’s seventh time at number one would almost mirror his second with a duet with one of his siblings. This time it would be his sister Janet with “Scream” on July 15, 1995 and a two week stint at the top. “Scream” would also be Michael Jackson’s last time at number one on the Billboard Dance/Club Play Song list in his lifetime. “Hollywood Tonight” goes from number 2 to number 1 beginning June 11, 2011 and hopefully as homage to the King of Pop it will stay there for a few weeks. “Hollywood Tonight” would be a testament for those that said that Michael Jackson was not the same hit artist in his later years. The world would recognize what die-hard Jackson fans have always known: even in death Michael Jackson will always be the King of Pop. To add on to the King of Pop’s legend, “Hollywood Tonight” also has a music video with fantastic dance moves by dancer, Sofia Boutella, and a group dance sequence towards the end that gives respect to Michael Jackson classic videos such as “Billy Jean”,” Beat It”,” Bad”, “Thriller” and “Smooth Criminal”. 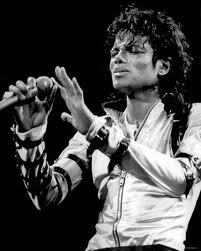 Michael Jackson joins an elite group of artists who reach the top of Billboard charts after death. Next week will find Jackson in the company of Ray Charles, Roy Orbison, John Lennon, Notorious B.I.G., Selena, and Janis Joplin to name a few. Let us not forget artists such as Hendricks and Elvis who only need one name introductions but still continue to sell music and merchandise long after their demise. Artist’s who top the charts after death shows the industry that we are not yet done with them. We still want more of their unique sound. Michael Jackson’s “Hollywood Tonight” is not just a number one hit: it’s a legacy. The objective for Vyzion Internet Radio is to deliver online radio that fulfills entertainment for the masses. Vyzion Internet Radio is comprised of an international team that is delivering the best of live radio and Internet Radio. We offer free IPhone and Droid Apps, Contact us at 1-800-957-9650. Posted by Kenny Walker Jr.